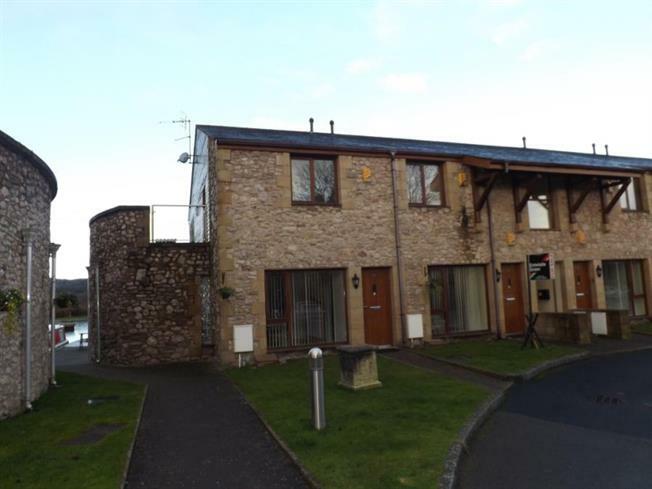 3 Bedroom House For Sale in Carnforth for £225,000. This property not only gives you your own perfect holiday retreat but is an exceptional opportunity to maximise return on your holiday investment. The average three bedroom property has a 56% occupancy rate and a return on investment of 6%. Tewitfield Marina is a beautiful purpose built hamlet offering luxury holiday accommodation. This superbly located one bedroom ground floor apartment with views of the marina is the ideal investment property or simply a perfect holiday home retreat. The open plan living, kitchen and dining area has a light and airy feel with large windows and French doors opening on to a balcony offering views onto the Marina, canal and views across the local Countryside. The property has a modern feel with the kitchen offering fitted appliances including washing machine, fridge freezer and dishwasher. The accommodation also offers a modern fitted bathroom with three double bedrooms benefitting from built in wardrobes with the first floor bedrooms providing access to the large balcony with stunning views. This convenient location offers easy access to the M6 and easy access to the Lake District. Just a short drive to the local village of Carnforth where there are a number of supermarkets and small local shops. This property really does offer the perfect holiday retreat and a fantastic lettings yield.